The new and improved 2019 is now upon us and as a pool owner, it is your responsibility to make sure that all necessary pool fence requirements and additional pool safety measures are met. One of the pool safety regulations in NSW is to acquire a pool compliance certificate and to complete a pool safety inspection. Here at Pool Certify, our certified pool inspector team is well equipped to assist you in responsibly obtaining your certification. In the majority of circumstances, obtaining a compliance certificate in NSW is necessary. A pool compliance certificate can be obtained through pool compliance and safety inspections. With extensive experience and detailed checklists, our certified pool inspector team will guide you through the process and make life easy for you. Pool Certify have noted some of the useful and valuable articles created in 2018, which apply also for 2019, that help you get Pool Safety Certificate NSW through inspection, which also provides in-depth knowledge of pool compliance regulations in NSW. Pool owners are required to have their pools inspected by local council or an accredited private certifier. Once the inspection is complete, the council or the accredited private pool certifier will issue a certificate of compliance or a certificate of non-compliance. To reduce the cases of pool accidents and drowning in Australia, the local Government has been exerting more efforts to enforce pool laws and regulations. This is a monumental step in ensuring the safety of kids and loved ones around pools. Obtaining a safety certificate is one way to know that your pool meets all the necessary pool legislation requirements. This certificate is issued after a comprehensive pool inspection. Pool Certify are the utmost professional and meticulous swimming pool inspection team with leading personnel that will get your certificate hassle free. The Swimming Pool Register website provides a checklist so that pool owners can assess their pools by themselves. WHAT IS A CERTIFIED POOL INSPECTOR? Pool compliance inspectors are responsible for inspecting swimming pools spas and outdoor swimming setups to know if they comply with the necessary pool safety standards. If the pool is found to be un-compliant, our certifiers will assist with a detailed plan on how to rectify these issues. If there are ongoing issues, a certificate of non-compliance will be issued by the certifier. On the other hand, if your pool meets all the relevant regulation requirements, your private inspector will issue a Certificate of Compliance. A swimming pool certificate of compliance is issued to all in-ground pools, above ground pools, indoor, portable pools and spa pools (capable of being filled with 300mm of water or more) if they meet the required pool safety regulations. Certificate of compliance can be obtained after a comprehensive pool inspection. WHY DO YOU NEED A POOL COMPLIANCE CERTIFICATE? Obtaining a compliance certificate is important since it is one of the pool safety requirements that pool owners should follow as per the law. Aside from that, having a certificate of compliance means that your pool has meet the safety standard enforced by law and safe to use. It plays a pivotal role when you want to invite guests and relax by the pool. It is for the safety of everyone. HOW TO OBTAIN CERTIFICATE OF COMPLIANCE FOR A POOL? 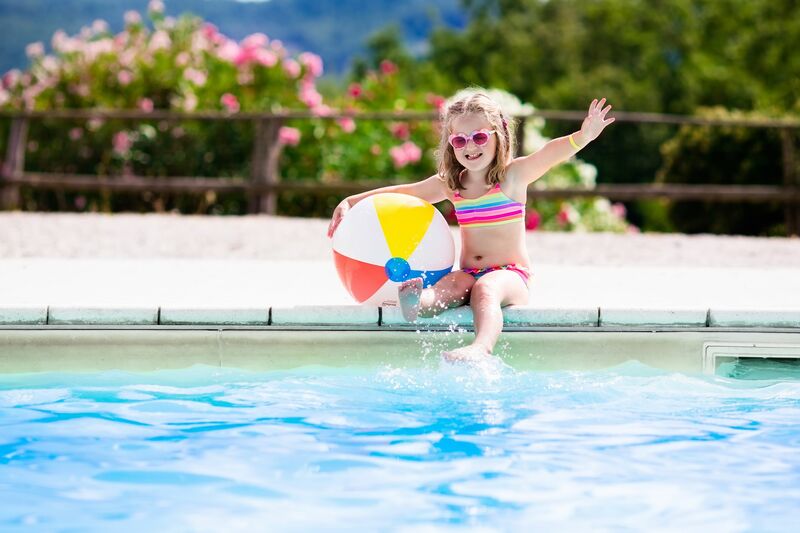 Obtaining a pool compliance certificate through inspection is an indication that your pool is safe to use especially for the kids. You can also avoid paying expensive fines in NSW with just a simple session with the industry leaders here at Pool Certify. It will be fast and easy to cooperate with our reliable pool safety inspectors regarding your pool compliance certification. For additional information on how we can assist you with our pool inspection Sydney services, feel free to contact us directly.